Above left, Charles Ward, 1918. Courtesy of The Howitzer (1918), United States Military Academy Archives. 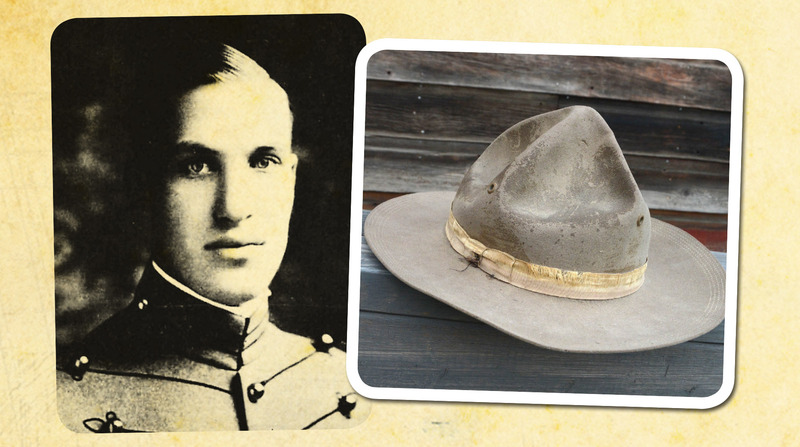 Above right, Charles Ward’s West Point cadet campaign hat, 1916, Courtesy of Art Andrews. Second-hand stores can often be treasure troves for discerning browsers. Nearly twenty years ago, a “Montana peak” caught the eye of one such buyer. 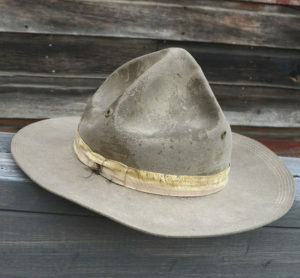 The campaign hat bore the logo of the “The Cadet Store, West Point, N.Y.” Without provenance, it was just a curiosity, at least until recently, when serendipity stepped in. The faint handwritten letters on the sweatband — “Ward, C. S.” — turned out to be Charles Stuart Ward, Class of 1918. 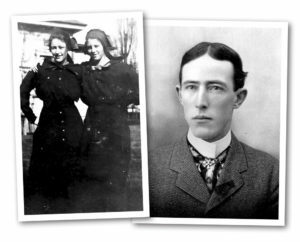 That discovery led to a tale of two young Lewiston people who married in haste and regretted at leisure. Taking a twisted path of nearly sixty years, their story began with a murder, required a Presidential pardon, and ended up in the Idaho Supreme Court. Our tale opens on May 19, 1895, when Charles was ten months old. Frank and Edna Ward lived with Mary Goddard, Edna’s mother, at 21 Ranch, south of Lewiston. John Siers, a Mexican War veteran who had invested in the land with a partner who was now dead, disputed Mary’s ownership of the property. The pair bore deep animosity for one another. The feud boiled over when Siers arrived to speak with Mary’s brother. Frank started shooting. One of the old man’s friends returned fire, killing Frank. Mary stepped up behind Siers and dispatched him with two bullets to his back as Edna shielded infant Charles and his three-year-old brother in the house. 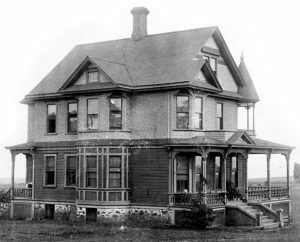 21 Ranch, circa 1900. Site of the shooting deaths of John Siers and Frank Ward. Courtesy of the Nez Perce County Historical Society. Elizabeth LeRoy Kettenbach was born into one of Lewiston’s wealthiest dynasties on September 16, 1896. Family and friends called her “Blizz,” short for “blizzard.” Her grandfather founded the Lewiston National Bank and laid the groundwork for the Idaho Trust Company. Upon his death in 1891, his son William F. Kettenbach, Jr. assumed the leadership role, the nation’s youngest bank president at the time. 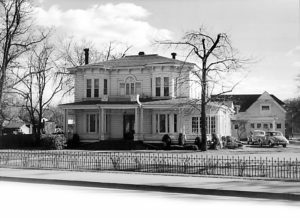 Elizabeth grew up at the grand Kettenbach estate on east Main Street. William Smith, a retired sea captain, had spared no expense in 1878 when he built the home, installing an Italian marble fireplace, Spanish mahogany woodwork, and a spiral staircase to the second floor. Elizabeth Ward Skillern, circa 1927. Courtesy of Samuel C. Skillern, III. With the ranch holding such bad memories, Edna had moved to Lewiston with Charles, who is listed as “Tom Tom” in the 1900 Census, and was managing a boarding house on Main Street, a few blocks from the Kettenbachs. The prospects for her and her boys would improve. In January 1903, she married James McGrane, the proprietor of the famed Bollinger and Raymond House Hotels. The elegant Bollinger became their home. Tolstoy’s Anna Karenina begins with the line: “Happy families are all alike; every unhappy family is unhappy in its own way.” It was now the Kettenbachs’ turn. At right, William Kettenbach, 1899, from An Illustrated History of the State of Idaho. At left, Elizabeth Kettenbach (left), with her sister Sallie, circa 1914. Courtesy of the Nez Perce County Historical Society. The sale of public lands in Idaho produced one of Lewiston’s biggest scandals. Land was cheap, just $2.50 ($66 today) an acre. However, something seemed awry to federal officials. Why were so many deeds ending up in the hands of local banker William Kettenbach and his associates? Affidavits surfaced that more than $1 million ($25 million) in white pine had passed into their ownership. Even President Theodore Roosevelt became involved. After a 1905 review by the Department of the Interior, a special grand jury indicted Elizabeth’s father and colleague George Kester. The indictment charged that the bankers had paid people to buy public land and then transfer the titles to them, a violation of the homestead, timber and stone acts, which limited the acreage available to individual buyers. The technique is known as a “straw man” and had netted Kettenbach about 10,000 acres. Just what teasing Charles and Elizabeth may have experienced at school is pure conjecture, but kids have a way of baring “the sins of the father,” and certainly a grandmother who shot an old veteran in the back. Maybe the two children found comfort by sharing their shame. Above, the William and Mary Jane Kettenbach home, 1941. Courtesy of Malcom’s Brower-Wann Funeral Home. In February 1910, Elizabeth’s father and Kester were acquitted in federal court. The government appealed to the circuit court on additional charges and won a judgment against the men in April 1911 for making false reports about their banking practices to the Comptroller of the Currency. They were each sentenced to two concurrent five-year prison terms. The case soon became a lot more complicated. In November, President William Howard Taft pardoned Clarence Robnett, who was the star witness against Kettenbach and Kester. Robnett had been convicted of embezzlement, but testified that he had been the intermediary in the land fraud. The uproar over the pardon was immediate. Idaho governor James Hawley wrote in an open letter, “No act ever done in connection with the courts of Idaho has so brought into disrepute and weakened the courts in the estimation of our people.” Neither Kettenbach nor Kester served any jail time. Vice-president Thomas Marshall and Senator William Borah lobbied President Woodrow Wilson, who issued his own pardon in July 1913. The Kettenbach home could return to normal as Elizabeth prepared for her senior year at Lewiston High School. In the meantime, Charles had chosen another path for his education. He moved to Spokane, Washington, to live with his grandmother Mary, and entered Gonzaga Preparatory in May 1910. He spent the 1911-1912 term studying “arts” at the University of Idaho and then returned to Gonzaga in October 1912. Charles received an appointment to the United States Naval Academy in May 1913, but inexplicably resigned and remained at Gonzaga until December 1913, leaving without a degree. This was a young man who clearly did not know what he wanted to do and was squandering some valuable opportunities. 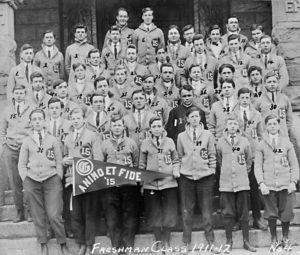 Above, Charles Ward (center, top) with his freshman class at Gonzaga University, 1912. Courtesy of the Gonzaga University Archives. After high school, Elizabeth matriculated first to a women’s college in Tennessee and then on to study near Washington, D.C. Charles entered West Point in June 1915, and the two reunited. They were a social “item” by November 1917, when the Army-Navy Register reported that the pair had been dinner guests at the home of an assistant professor of law at the academy. Known as “Chesty” to his classmates, Charles rose to the rank of corporal in the corps of cadets. Upon receiving his commission on June 12, 1918, Charles was posted to Camp Humphreys, near Washington, D.C., and the couple married on September 16 in the chapel at the National Park Seminary, a private girls’ school in Forest Glen, Maryland, where Elizabeth had been studying for two years. Mary Charlotte Priest, the dean of the college, gave her away, as Elizabeth’s parents had gone to Portland, Oregon, to spend the winter on the West Coast, which must have seemed strange to their neighbors, as September temperatures can reach 100 degrees in Lewiston. When the local society column finally reported the wedding, no one was at home. Charles was not a welcome addition to the family. A string of reassignments followed to Boston, France, Belgium, Germany, England, and then back to Camp Humphreys. In June 1920, Charles was posted to Juneau, Alaska, to be the disbursement officer for the Corps of Engineers’ Alaska district road commission. Elizabeth was several months pregnant. Charles went to Juneau, Elizabeth came home to Lewiston and gave birth to a daughter, Sallie Ann, on December 21. Elizabeth’s family became even richer within months. Find Steven Branting’s books in local bookstores, or online at Barnes and Noble. Remember that timberland? In 1921, Elizabeth’s father and his partners sold sixteen thousand acres of “some of the choicest timber in the big Clearwater belt” to the Weyerhaeuser syndicate for $300,000 ($4 million). However, the Ward marriage had unraveled. Charles finally returned to the Lower 48 in November 1922, when he joined the Sixth Engineers at Camp Lewis, near Seattle, having other plans for his life. He was telling Elizabeth’s family and friends that he no longer cared for her, did not want to live with her and would “never in the future treat her as his wife.” Blizz sued for a divorce on February 20, 1923, adding that Charles had “at various times and places given undue attention to other women.” Lawyers executed an agreement for the support of Sallie Ann, and a default decree of divorce followed on June 8. The two would go their separate ways for more than thirty years. One young Lewiston man observed in dismay — Samuel Skillern, who had developed deep feelings for Elizabeth since her return, observing the distress the marriage was causing her. Samuel came to Lewiston in 1916 and established the Camas Oil Co., once Idaho’s largest independent distributor of petroleum products. Now that Elizabeth was free of Charles, he came courting, and they married on January 5, 1924. Sallie became his daughter in all but name. The years that followed were not uneventful for the former mates. Charles did not stay single for long, marrying Helen Schwager, daughter of Seattle timber magnate Lewis Schwager, in June 1926 and set off with her to his new assignment back at Fort Humphreys. After their daughter Pamela was born in January 1927, he was transferred to Forts Bliss and McIntosh in Texas. The new marriage was as short-lived as his first. Helen filed for divorce when Pamela was three or four years old and moved back to live with her parents in Seattle. Charles remained in the U.S. Army and rose to the rank of colonel, commanding the Forty-First Engineers, an all-Black unit, during World War II and winning the Legion of Merit. He subsequently married again, left the service and retired to Connecticut. 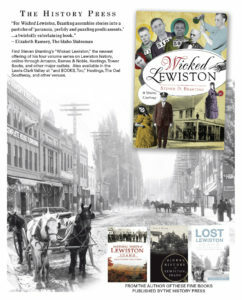 Elizabeth would bear Sam two children — Sam Jr. and Cora — and become a doyenne of Lewiston society. Her parents died in the late 1930s, leaving her and her sisters substantial inheritances. 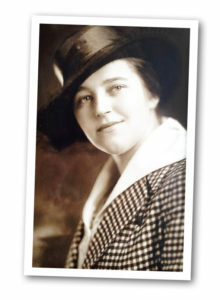 She served as talent director for the 1936 Spalding Centennial Celebration and was the Idaho Regent of the Daughters of the American Revolution during the War. When the St. Joseph’s Hospital Auxiliary was founded in 1953, she became its first president. 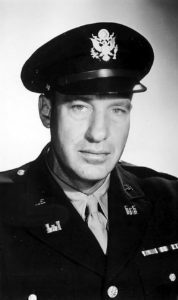 Charles Ward, circa 1945. Courtesy of Ann Birza. A little matter remained unsettled. As part of the 1923 divorce agreement, Charles was to deposit $50 ($700) a month at a Lewiston bank until his daughter Sallie reached fifteen, and $75 ($1,050) a month for her support until she was twenty-one. Charles had been a bad dad, and Elizabeth was going to teach him a lesson. In June 1955, the Skillerns took Charles into district court and won a judgment. Charles appealed to the Idaho Supreme Court, which upheld the decision, ruling that Elizabeth had not lost her right to bring the action by neglecting to do so earlier. Blizz’s marriage to Samuel made no difference. The 1923 agreement was clear. Charles’ bill was nearly $280,000 in today’s value, and he had to pay her legal fees. He died in January 1979 and was interred at West Point. Elizabeth had died in January 1975 and was buried with the Kettenbachs in the Masonic section of Lewiston’s Normal Hill Cemetery. Only now are descendants learning the whole story. Next → Next post: The Cutter Question: Who Was the Real Architect?